The sound of clinking glass floated up from the street below CBC London's second-floor bureau, a bit too early in the day for a party at our downstairs neighbour even if it is — was — a pub. But this was no party. This pub was shutting its doors and workers were taking away the wine and beer glasses. Another closure to add to the growing list — Woolworth's, Hardy Amies, the queen's former dressmaker, Waterford crystal and Wedgwood china, all folding or struggling to find a buyer. All taking with them skills that have been honed and passed down through the ages. So when Alastair Simms announced he is the last master cooper in Britain, well, no surprise there. Coopering is the ancient art of wooden barrel making. How would a specialty trade like that survive in these hard times? Simms, 45, started his apprenticeship at 16 and spent the next 15 years working towards the rank of master. Not a man to move at speed, he's only now sounding the alarm. "Fifteen, 20 years down the line, when I'm ready for retirement, it's too late then," he says, "It will be a shame. Then you'll end up with just pictures in a museum." To see Simms at work in his garret studio at Wadworth Brewery in Devizes, in England's southwest, is also to be transported in time. Many of his tools are hand-me-downs from previous coopers. He picks up a well-worn topping plane, used for smoothing the top of a cask. Pointing to the different sets of initials on it, he calculates the tool is about 130 years old. His most treasured possession is a block mark, a stamp with his initials, ADS. The block is "the right for me to work as a cooper and every time that's put in a cask that I've made, that's put in with pride." There are thought to be just four other coopers working with British brewers these days, none of them at the master level, which denotes a journeyman who has trained at least one apprentice, a process that takes four and a half years at not a great income. So you can see the problem attracting new blood. Simms' language is peppered with unfamiliar words, starting with coopering, which apparently morphed from cupola to cowper to cooper. Although coopers make barrel-shaped objects, Simms today makes few barrels. "It's a skill that's not really changed since the ancient Egyptian times," says Simms. The pharaohs were in fact great beer drinkers. Historians say their brew, made from barley, was part of the daily diet. Five thousand years later, Simms defends his trade enthusiastically. "It's recycling," he says, "The oak's taken 160 years to grow and three or four years to dry." After all that time, a cask is not easily discarded. 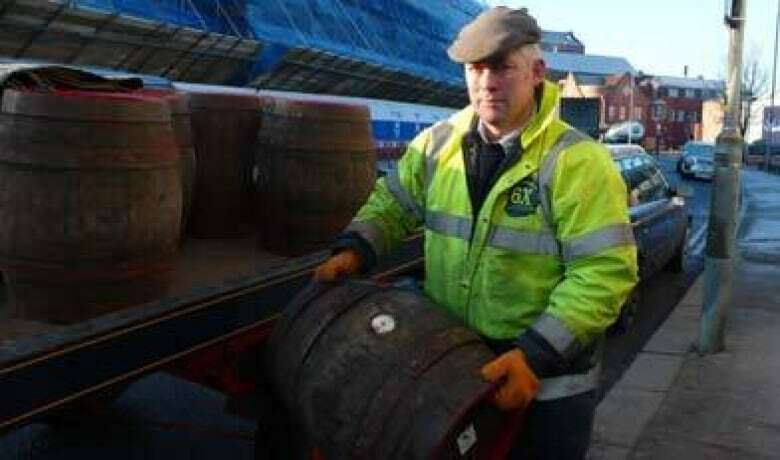 Simms can give it a second or third life by disassembling and rebuilding it as a smaller cask. "So you're looking at somewhere between 190 and 215 years of life out of that timber. We've got this chuck-away culture we should get away from." During my visit, Simms was rejuvenating a firkin that started life in Spain full of sherry and then spent the last 100 years holding whiskey in Scotland. But neither of those flavours will seep into the beer because Simms ensures there will be no contamination. To see him bending over, plane in both hands, his arms reaching in and out of a firkin, is surely to witness the origin of the expression "scraping the barrel." This is also one of the most critical parts of the job. "As long as we got the insides dressed down and clean; that's the most important," Simms says. Firkins in use as beer containers are put through a 17-stage cask washer so that they are considered as clean and sleek as a metal cask. "If I have lumps and bumps in them you get bits of yeast and bits of hops stuck to the cask and then after two or three runs the beer would start to taste horrible." Note the word metal: it's the enemy of this trade. The stainless steel beer drum is putting coopers out of business. No matter that wood gives beer a better taste, Simms insists, because it's a better insulator. Beer may keep longer in a metal container. But a wooden cask can "sit on the back of a dray lorry all day and whatever the ambient temperature is outside these won't move more than half a degree in temperature." And temperature change takes "the goodness out" of a brew, he says. But with wood "you get a lovely round pint of beer." Wadworth Brewery delivers to Devizes' pubs five days a week on horse drawn drays and Simms enjoys seeing his handiwork pass by. "They're like your children so you look at them and you think, 'ya they're looking good.' Or sometimes you look at them and you think 'I must catch that one when it comes back. It could do with some tender loving care.'" Just what the motorists think as they crawl behind the slowpoke shire horses holding up traffic for the sake of tradition, however, is not clear. But if Simms finds an apprentice to carry on the craft — and he's had some interest since he sounded the alarm — it's bound to be someone who likes to work with oak and traditional tools. 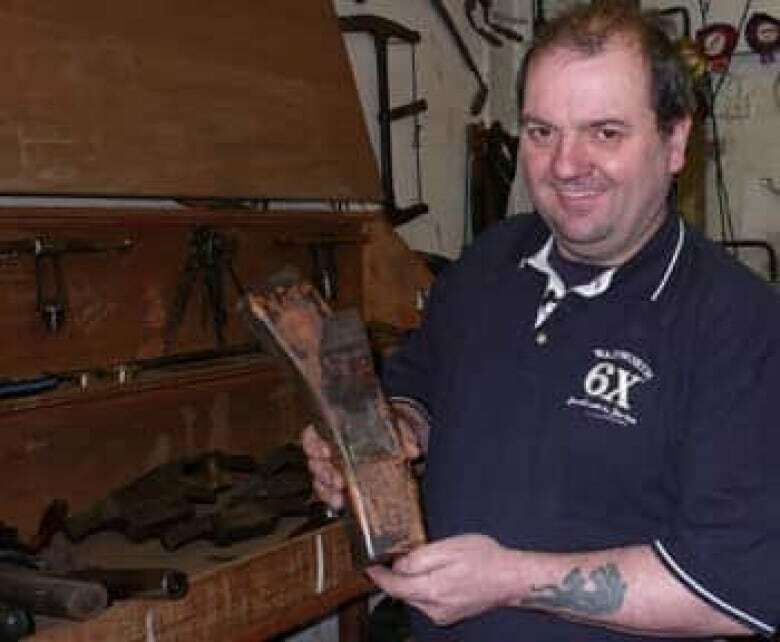 In fact, it's very likely to be someone like Simms who has a deep appreciation for his trade, as well as for that special pint of beer that comes out of a wooden cask.